It is a very common desire for facility managers and building owners to install a roof coating system with a good warranty. Warranties can be confusing and unclear so it is important to know what type of warranty your roof coating system is coming with and to speak with the roofing manufacturer and/or contractor providing the warranty for full details. National Coatings offers both Product Guarantees and Full System Warranties to cover and protect your roof coating system for 5, 10, 15, or 20 years. These warranties are good for our AcryShield SPF Roofing Systems, our AcryPly All Acrylic Roofing Systems over TPO, PVC, EPDM, Granulated BUR, Smooth BUR, and Concrete, our AcryPly Emulsion/Acrylic Roofing Systems and our AcryShield Restoration Systems over Metal. 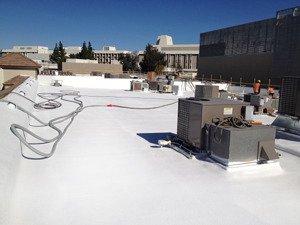 We encourage use of our roof coatings in restoration, re-roofing and new construction applications where we can confidently provide 5 to 20 years of additional leak-free performance. We seek to install sustainable roofing systems that perform well beyond original warranty periods and that can be renewed by utilizing appropriate reinforcement and recoat approaches. National Coatings recognize that roof life extension yields financial returns far above energy savings. For extensive details regarding our warranty, we have all the information you need posted online – check out our Warranty Page. If you would like to become an approved applicator for National Coatings, fill out our Approved Applicator Application. 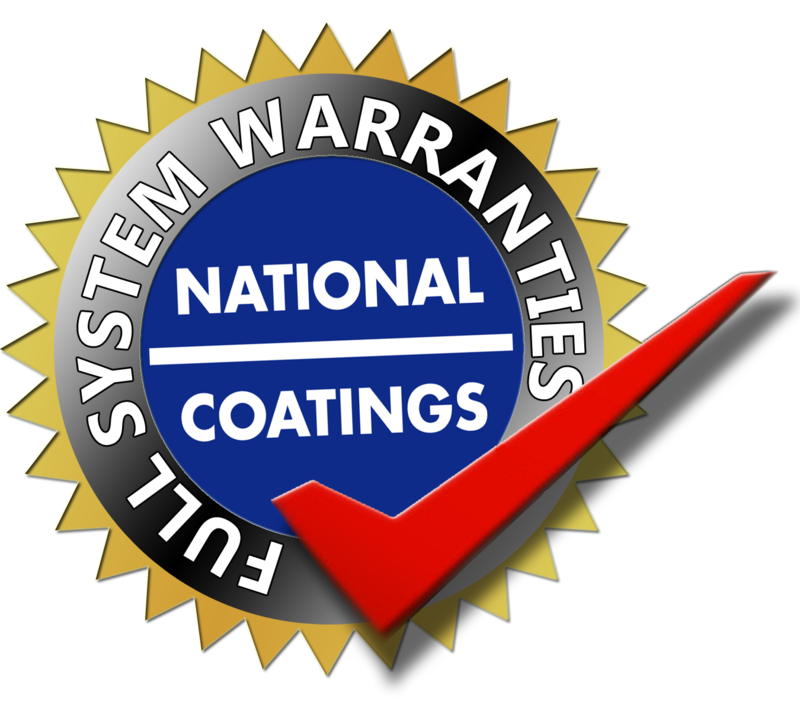 What Does National Coatings' Full System Warranty Offer? We design our systems to be easily renewed by utilizing appropriate reinforcement and recoat approaches. National Coatings firmly recognizes that roof life extension yields financial returns far above traditional roof replacement. Therefore, we strongly suggest that a proper roof maintenance program is put into practice. Let us help you figure out the ideal roofing system for your roof, click the box below! Get a New Roof with a Full System Warranty! National Coatings seeks to install sustainable systems that perform well beyond original warranty periods. We recognize the need building owners and facility managers face - they want a roofing system that the manufacturer promises to stand behind. That is why National Coatings offer's several types of full system warranties to our customers. We have 5, 10, 15, and 20 year warranties to cover just about any roofing type - Asphalt (including smooth and granulated BUR), Concrete, Metal, Single-Plies (including EPDM, PVC, and TPO), and Spray Polyurethane Foam/SPF (new construction or roof restoration). * Quick-Set products qualify for the warranty to be used in these systems to provide resistance to early wash-off associated with heavy dew and light rain.